ABBOTSFORD — Deanna Tuchscherer has always trusted her basketball skills. But it took a summer spent away from home, in the company of some of the nation’s best young talent, for the rising 6-foot-1 senior guard/forward to realize that it was also okay to trust her inner basketball voice. What it kept telling her, and what she announced officially today, is that despite the lure of an NCAA Div. 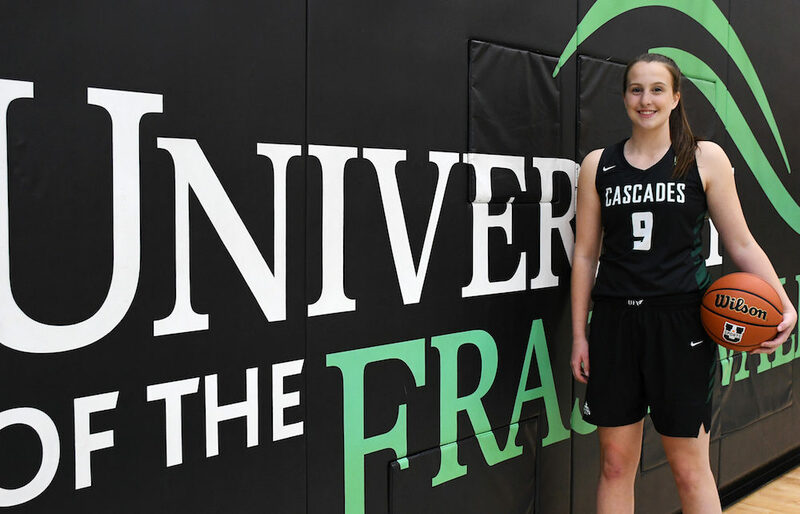 1 collegiate career stateside, what made the most sense to her was to remain at home and play in U Sports for the Fraser Valley Cascades program which her father, Al Tuchscherer, has been the head coach of since 2002-03, just a year after Deanna’s birth. From the moment her Grade 11 year at Chilliwack’s G.W. 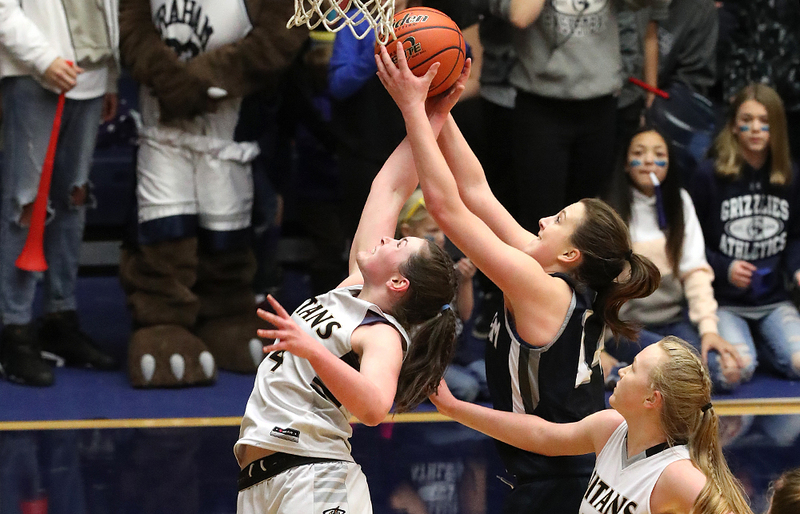 Graham Secondary had ended, Tuchscherer was repping at the highest levels, first with Canada at the FIBA Under-17 World Cup in Belarus, and then for Team B.C. at the Canadian Under-17 national championships in New Brunswick. By the time she got back, it was mid-August, and with a series of visits to major NCAA Div. 1 schools all lined up towards the end of that month, she knew what she wanted, and that she didn’t want to waste anyone else’s time. “A lot of the time when I was away in the summer, it was something lots of the girls would talk about and reflect on,” said Tuchscherer on Tuesday of the back-and-forth nature of picking schools. Still, when nearly 40 NCAA Div. 1 programs profess their stated interest, and a solid nucleus of those programs, some from Power Five conferences, step up with official offers, the final selection process is nothing that can be taken lightly. “As early as Grade 6 or 7, everybody would talk to her and ask her if she was going to play for her dad,” says Al. “By Grade 9 we could tell Deanna had a passion for the game and that she was really starting to make strides. Both dad and mom (UFV Hall of Famer and former standout player Denise Tuchscherer (nee Rehman), from the outset, left the final decision to their daughter, pledging consistent support through the entire process. Still, both mom and dad could sense an almost palpable angst in their daughter when her summer playing schedule was complete and she had returned to home base in Chilliwack. Of course that is when the daughter looked her dad in the eye told him that she wanted to play for him. Certainly to the many who have watched Tuchscherer on the floor throughout her high school career with the Grizzlies, the first thought that would come to mind was how good she could potentially make the Cascades. Now, B.C. basketball fans will get the chance to see what happens first hand in not only Abbotsford, but Victoria, Vancouver, Langley, Kamloops, Kelowna and Prince George. And before that even happens, there is the not-so-small matter of trying to finish one spot higher at the upcoming B.C. senior girls AA basketball championships this March at the Langley Events Centre. Last year, GWG’s Grizzlies fell 73-67 in overtime to the South Kamloops Titans in the B.C. AA final, despite Tuchscherer flashing the best of her guard-forward skill set with 32 points, 15 rebounds and four three-pointers. The two teams enter the new season late next month sitting in the same spot in the provincial pre-season rankings. But perhaps most important for her was the fact that as she investigated what would be most essential for her as a university student-athlete, Deanna Tuchscherer realized she couldn’t turn her back on the most special and unique situation of all: The one right there in her own back yard. Unwittingly perhaps, it looks like the dad created the kind of program he’d be happy to have his own daughter play in.